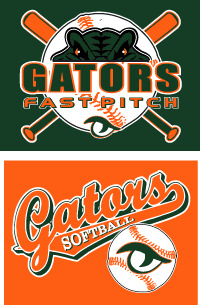 Garden City Gators apparel and accessories are now available to order online! VERY IMPORTANT: ALL ITEMS ARE MADE SPECIAL TO ORDER AND MAY NOT BE RETURNED FOR SIZE EXCHANGE OR FOR REFUND. PLEASE BE SURE TO ORDER THE CORRECT SIZE. There is a sizing chart on the page of each individual item. Please be sure to check that sizing chart before ordering. Note: Delivery dates is not guaranteed, but our best estimate based on normal order processing without product back orders or unforeseen delays. We will so our very best to meet this delivery estimate. You may customize most items with player name, player number, or both at an additional cost. All items available for customization will have a name and number options on the description page of that item. Please be sure to fill in the correct boxes for the customization you would like. 1. Select "In Store Pick Up" - Barry Patterson will distribute these items to your team when ready. EMAIL: Email us through the CONTACT page on this site.